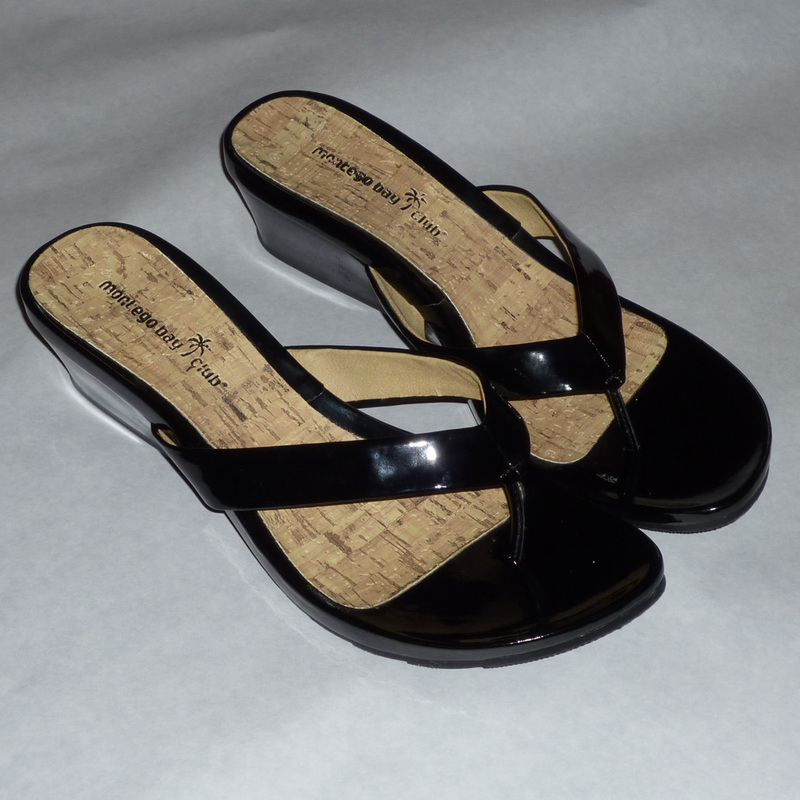 i’m a simple girl: i like flip-flops, patent leather, and a wedge heel. erm, just not in this combination. 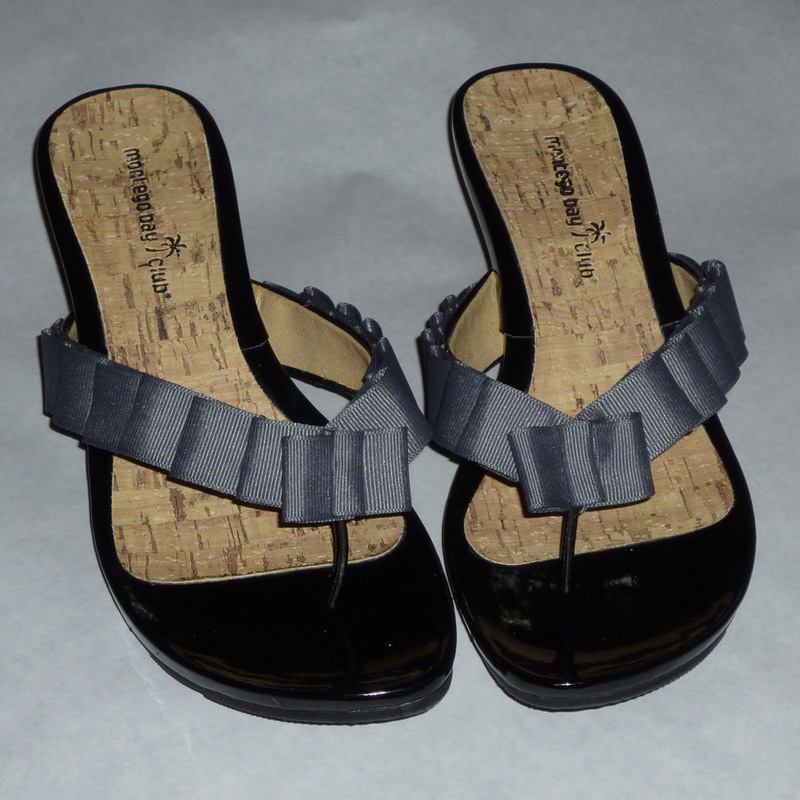 i got these shoes from payless last year with the intention of adding a little something to them. they’re just so…meh. so they’ve sat in the closet, and not just because winter came between us. now that it’s warming up, it seemed time to tackle these bad boys. 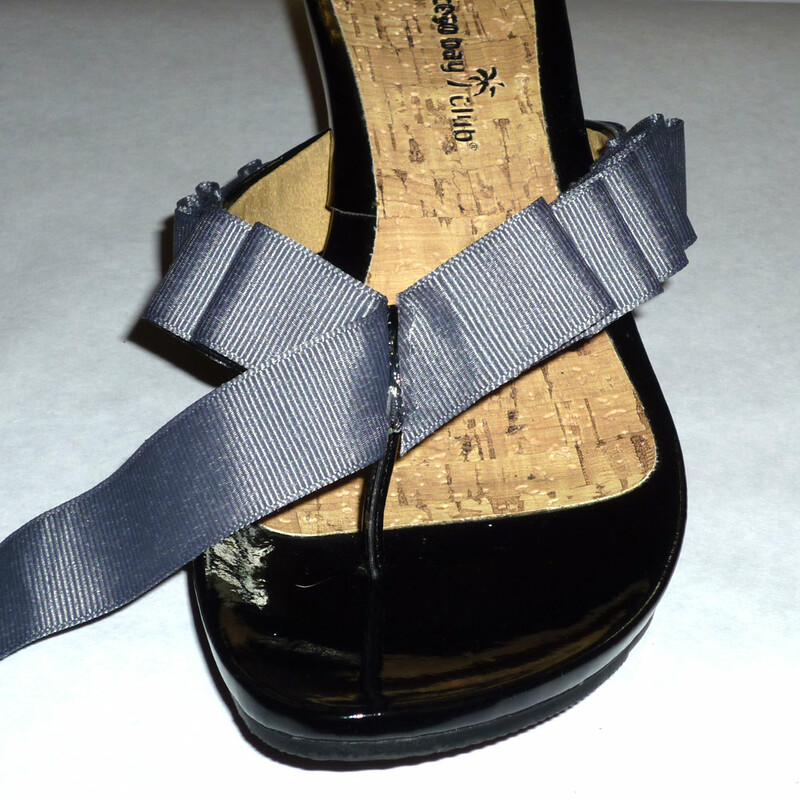 so i grabbed my hot glue gun, about 2 yards of grosgrain ribbon, and these shoes. a half hour and a few folds later, i had these gorgeous things. ta-da! 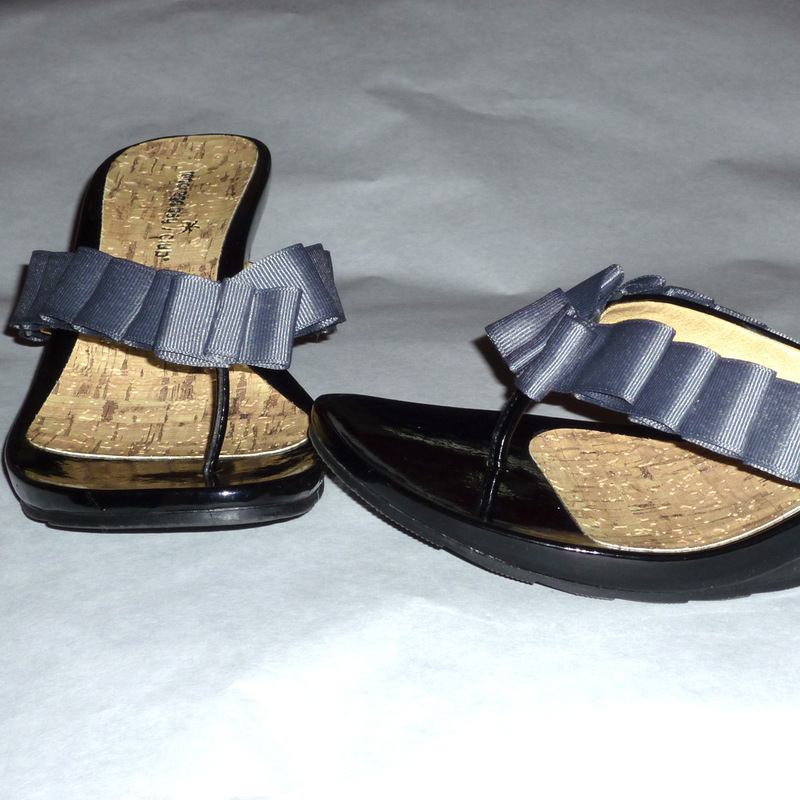 grab your sad flip flops (even the ones that are worn out and yicky–you could totally re-invigorate them! 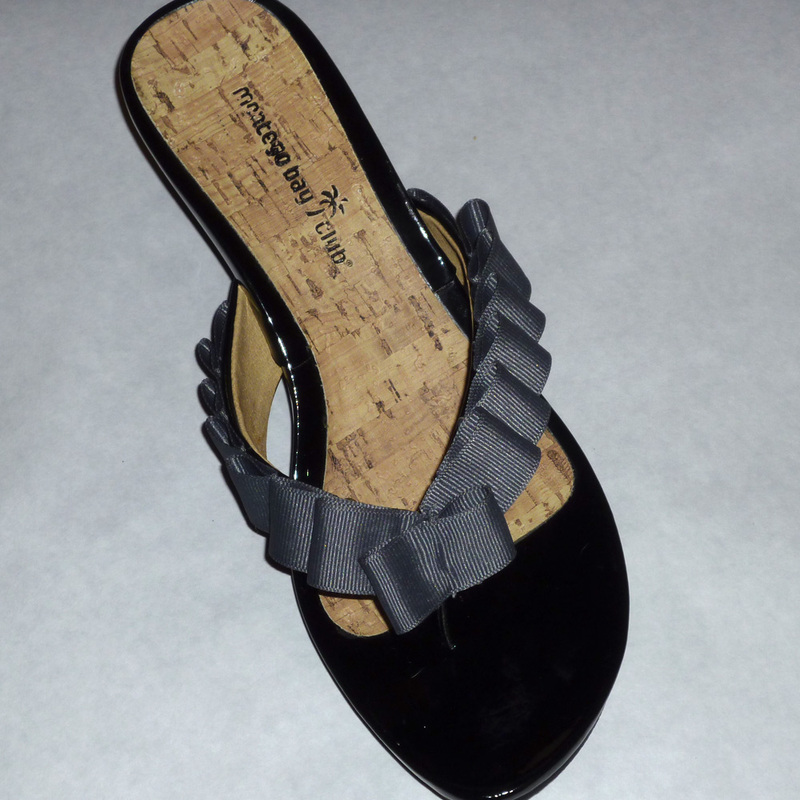 ), your hot glue gun, and some pretty ribbon in your choice of color. i’m currently totally addicted to grey, but you could use whatever you want. 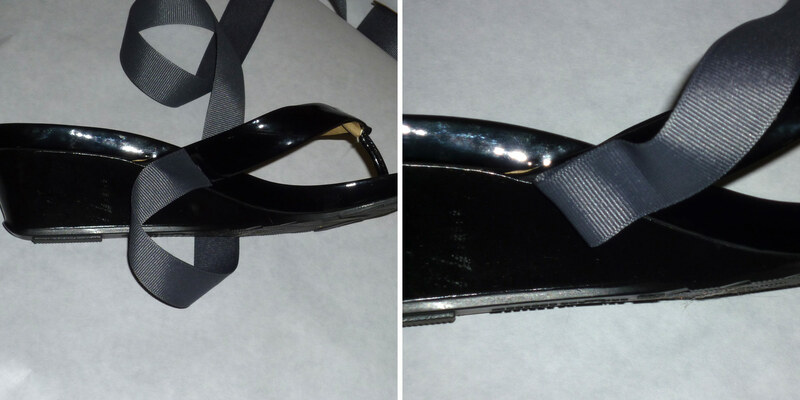 start by gluing the ribbon onto the side in the opposite direction of the toe part of the flip-flop, then fold back over to make the first ruffle. 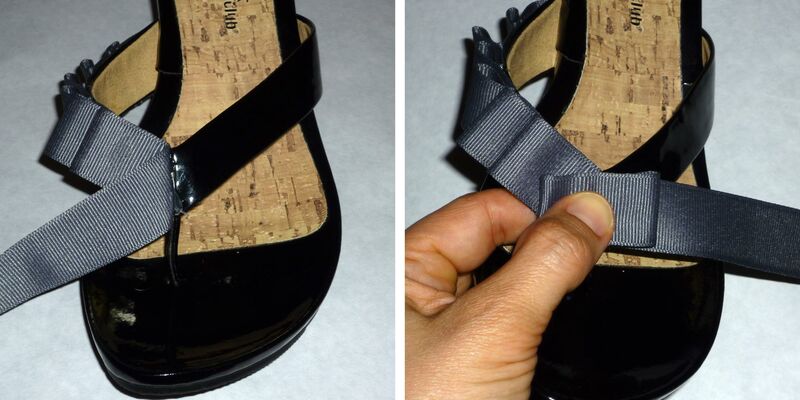 secure with a line of hot glue and keep forming ruffles, of about the same size, until you get to the toe part. 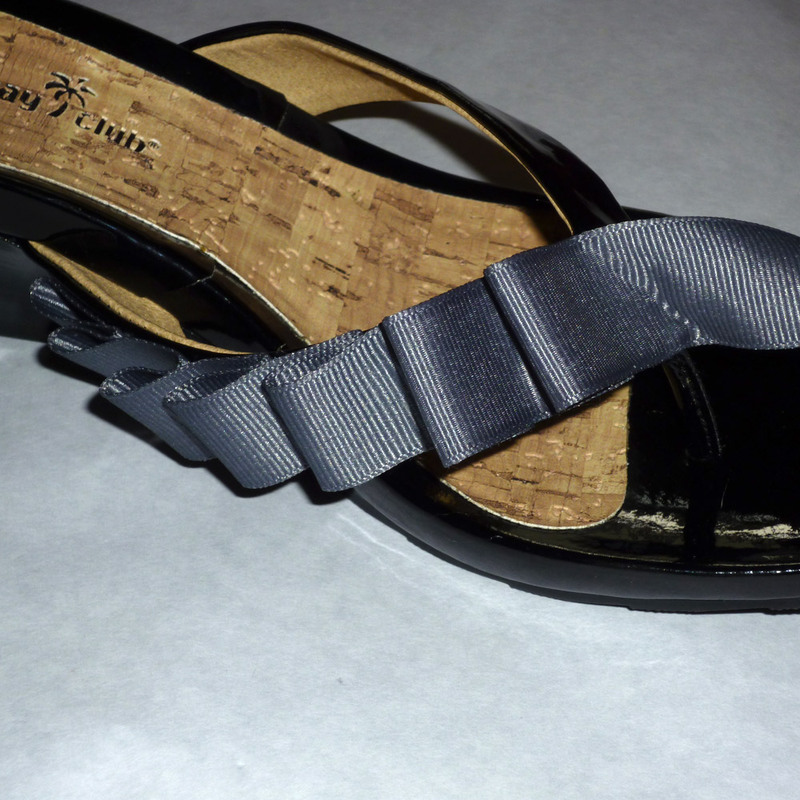 once you get to the center, adhere the ribbon down the center. 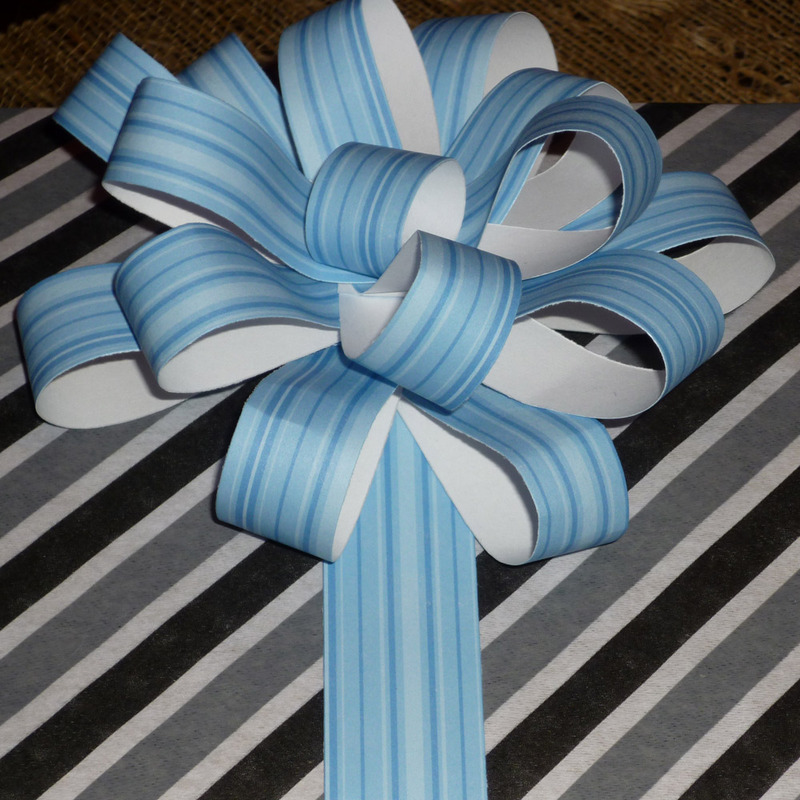 then fold ribbon to estimate how much you’ll need to form the center bow/ruffle and cut the remainder off. leave a little extra just in case. now adhere ribbon to the other side and bring it towards the center, cutting the second piece of ribbon down the diagonal and adhering it. 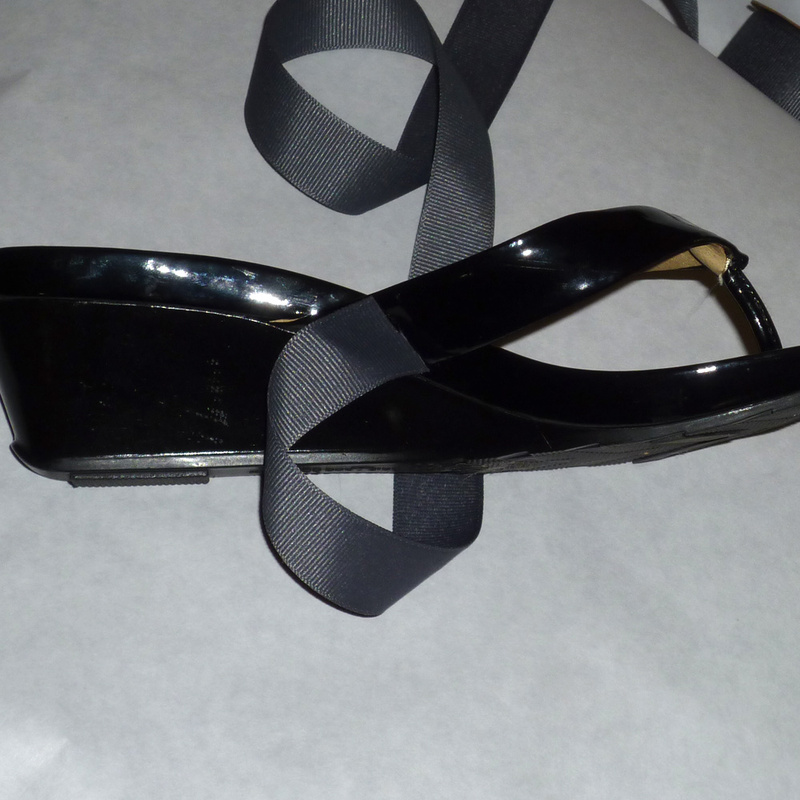 next, form the bow and glue it down, cutting off any excess. now here comes the hard part: deciding what to put in the center of the cute little bow. plain ribbon loop? a button? a fabric covered brad top? something else you dream up? i had the hardest time deciding–they were all so cute. i ended up adding a simple fabric loop with a little hot glue; then i glued down the loops a little cause they were sticking up too much. and i still had time to take them outside for a little sunshine romp in the grass! if you make a pair, i hope you’ll share! 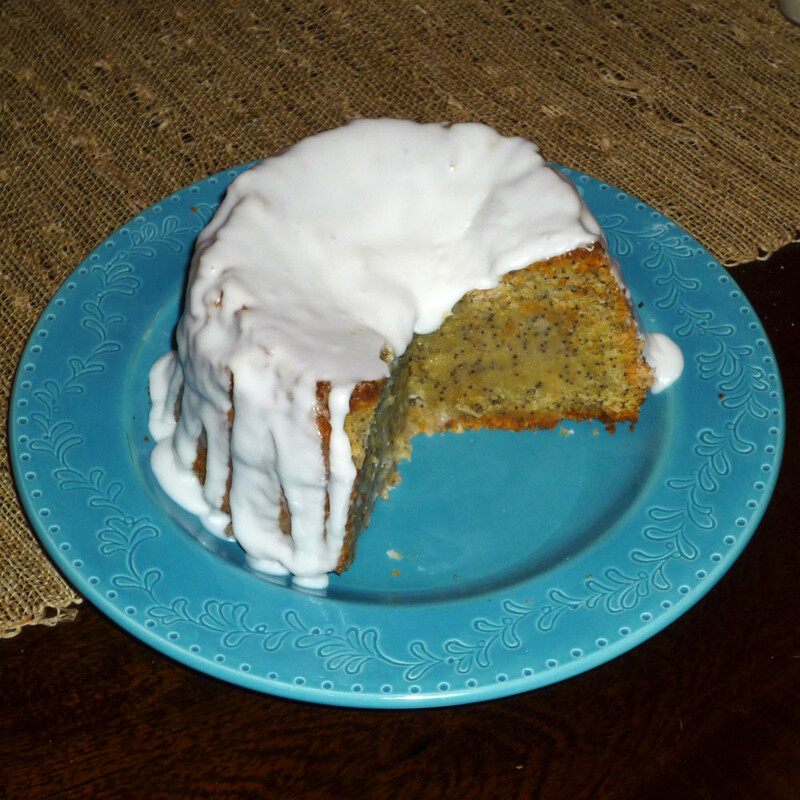 lemon poppyseed cake is popular around here. interestingly enough, i think it was also one of the first desserts i attempted early on in my baking career. i think i was nine. butter and lightly flour your baking dish–i used a small round pan, meaning it took longer to cook. using a 9 x 5 loaf pan or a small bundt pan will cut down on your cooking time. preheat oven to 325° F.
cream butter with mixer, then slowly add sugar and beat until well-blended. add eggs, one at a time, beating each in well. in a separate bowl, stir together the remaining dry ingredients: flours, guar gum/gum arabic, and salt. slowly add the flour mixture to the cake batter, until mixed, then add the lemon extract and poppyseeds. pour into pan and cook 1 1 ⁄4 to 1 1⁄2 hours or until toothpick inserted in the center comes out clean. allow cake to cool before frosting. then mix glaze, adding just enough hot water to get the consistency of toothpaste. blend thoroughly to get out any chunkiness. then scoop into a zip-top bag, snip a small triangle out of a bottom corner, and drizzle over the top. serve to oohs and ahhs and ‘i can’t believe this is gluten-free’s! jason should be home any minute. the presents are wrapped, the gluten-free lemon poppyseed cake is in the oven, and the steaks are marinating! 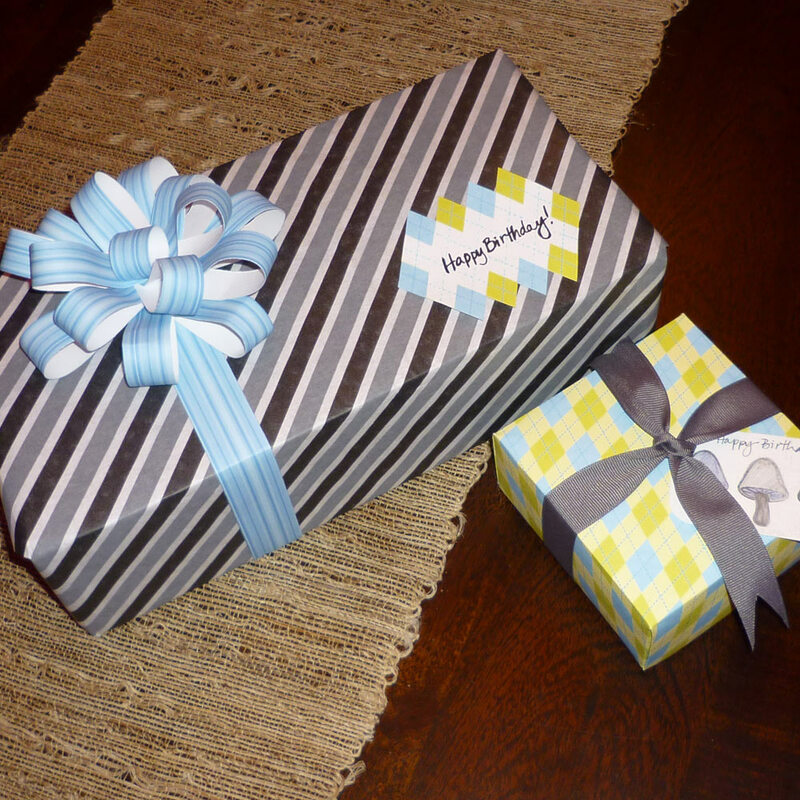 i wrapped his gifts in menswear inspired tissue paper and tied it all up with grosgrain and a paper bow on the larger package. for the instructions on how to make your own paper bow, either from recycled yellow pages or with a page from a magazine, visit how about orange, one of my new favorites for all things paper. (i used scrapbook paper to make my bow). on the menu for dinner: marinated olives, a salad, steak, roasted baby potatoes, red wine, and gluten-free lemon poppyseed cake for dessert. 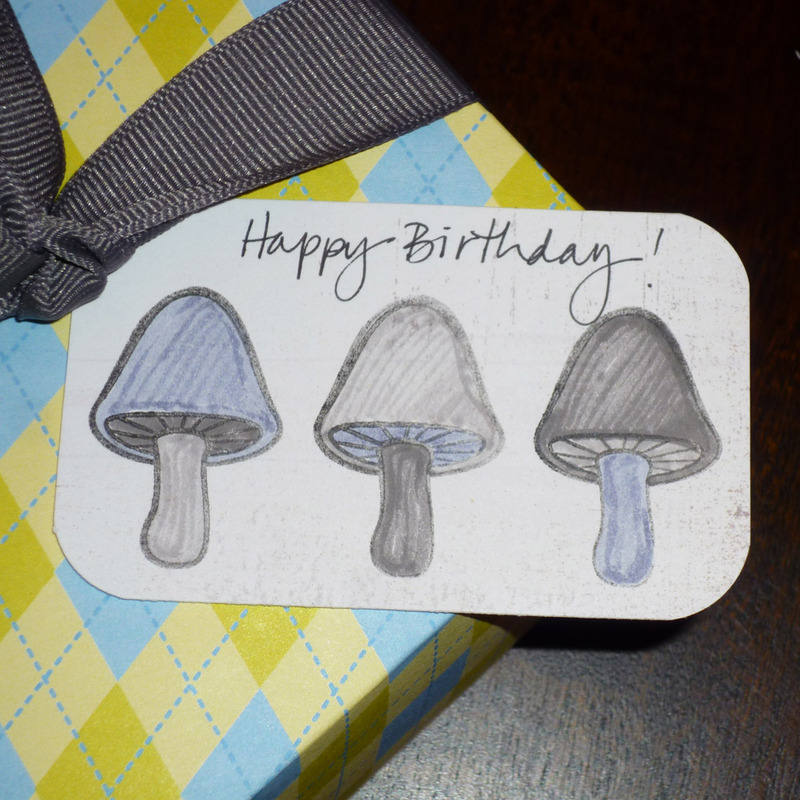 stay tuned for pictures of jason’s presents and the gluten-free recipe!